Calling All Cards! Cards2Kids Charity Looking for Help in Bringing Smiles to Kids in Need! Do you have trading cards just sitting around collecting dust? Are you looking to get rid of your trading cards, but just don’t want to go through the hassle of trying to sell them online? Are you a mom who wants to get rid of your son’s cards, but doesn’t want to catch grief for throwing them out? Do you want to help make a young child in need smile? If you answered yes to any of these questions, we have a great program for you! Trade your cards for smiles! Cards2Kids is a non-profit charity that has really established themselves over the last year as an amazing organization that specializes in gifting trading cards to kids in children’s hospitals in particular. They have now delivered cards (or will be delivering in the next two months) to 15 different children’s charities. Through donations from collectors like you, they have now collected over 1,000,000 cards that will be repackaged and shared with young children who could really use a smile. They have received packages of trading cards from 15 states in the U.S. and 3 provinces in Canada. They recently launched a revamped website and are continuing to acquire fans on Facebook. What makes the story of their rapid growth and success so sensational however is that the organization’s founder has not even graduated from high school yet. That’s right; the charity was started by John Makowiec who is currently a sophomore in high school. Founder John Makowiec has helped to bring smiles to deserving children by sharing the hobby he loves. 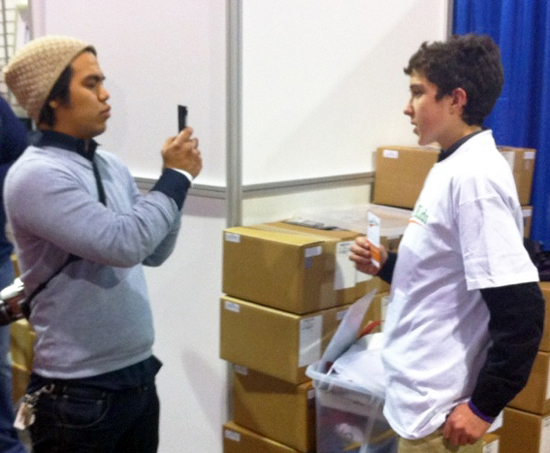 John being interviewed by Beckett Media at the 2011 Sports Cards & Collectibles Expo in Toronto, ON. 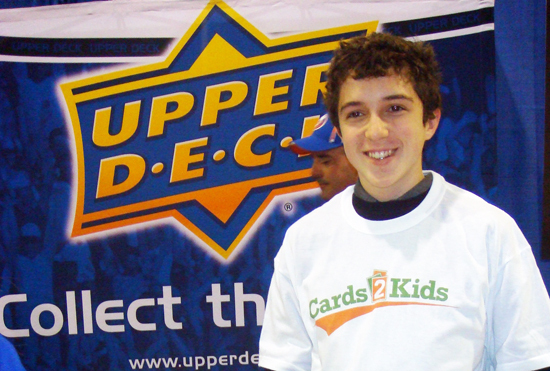 Upper Deck partnered with the Cards2Kids for the 2011 Sports Cards & Collectibles Expo in Toronto for a donation drive and we were blown away by the amount of cards dealers and collectors shared for these kids. 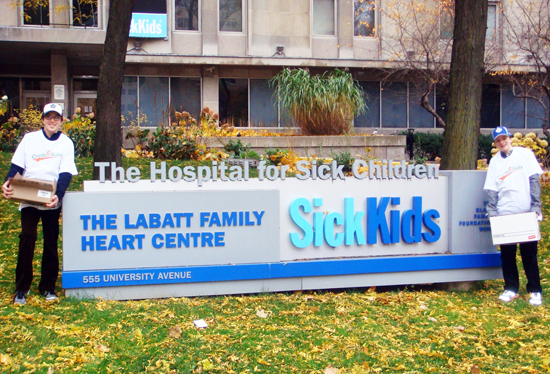 Seeing the Cards2Kids crew in action was truly inspiring and they worked hard all weekend to collect, sort and repack cards they delivered to the Hospital for Sick Children in Toronto, Ontario. We are excited about the prospect of working with them again in the future at other shows, but for right now, we are calling on our collectors and hobby shops to help! Making the delivery to the charity makes all the hard work worthwhile. Donate Time: This is what the charity needs most. Time from volunteers to help sort and repack the thousands of cards the charity receives in. The charity is based in the Chicago, IL area, but they are growing and they have three stores who are official partners (two in IL, one in NJ). Giving time to help them get these cards organized, counted and repackaged while trying to make sure they are not damaged would be a huge help. They are planning sorting and packing days throughout the year so make it a point to help! Donate Money: The charity needs financial assistance to purchase marketing materials, boxes, labels, website maintenance and more. Anything you can provide will help in getting these cards to kids who need them and increasing awareness for the program. The Cards2Kids team can really use team bags to help repackage the cards they receive. For every pack of 100 bags you send, you help to provide 100 smiles on deserving kid's faces! Donate Materials: The charity is in desperate need of team bags most commonly produced by Ultra PRO. UltraPRO has kindly made a donation to Cards2Kids before, but they have worked through that inventory and now could definitely use more. Most charities will not accept loose cards so it is critical they have the supplies need to repackage the cards so they can get to kids. Donate SEALED packs: Some charities will not accept cards that have been resealed. 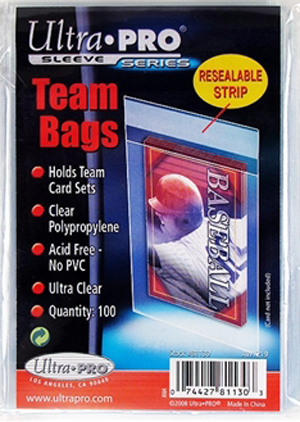 If you have packs that are sealed, the team at Cards2Kids can definitely make good use of them. These can be from any sport, from any year. Donate loose cards: Please package them in a manner to decrease the likelihood of damage to them. In particular the Cards2Kids team is requesting cards from the year 2000 and later. They have received a tremendous amount of cards from the ‘80’s and ‘90’s apparently and would like to mix in newer cards for the kids with athletes they may be a little more familiar with. Ask Your Hobby Shop to Get Involved: As they look to expand the program, they need partners in different cities to help serve as donation centers. Ask your local hobby shop to serve as a donation center and offer to help get them started. Help Increase Awareness for the Charity: This is a great story that unfortunately people just do not know about. Use the power of social media to share what they are doing. Please tweet to sources at ESPN, Sports Illustrated, Fox Sports, NBC Sports, CBS Sports, The Chicago Tribune and other and post information about the charity on their respective Facebook pages. Reach out to athletes and let them know as well. Maybe make a YouTube video to help create awareness as well. The more exposure we can create, the more children we can help! Donation Centers will receive a window cling that promotes the program in their store and more! Become a Donation Center: The Cards2Kids team is passionate about taking this program to a new level by adding hobby shop partners throughout the U.S. and Canada to serve as donation centers. But they need to be the right partners. They are looking for shops that will serve as advocates for their cause in the community and collect cards on their behalf. They are looking for shop owners to host sorting and packing days to help get the cards organized. They need the shop owner to send them the cards or to actually make donations on their behalf to new charities in their region. 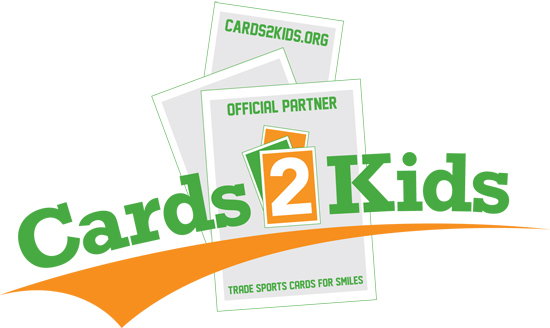 If you run a full-time, brick and mortar hobby shop and want to get involved with a program that will help give back to kids in need, please contact the Cards2Kids team! Reach out! Let them know you are willing to help by contacting the Cards2Kids team by clicking here! My name is Derrick! I am a box breaker who collects tons of current cards! I was wondering if I am compiling cards to send to you guys on a monthly basis is there a place I can send them to? Also, do you get a tax receipt? have 2-3 large boxes with cards. Where do I send them to. I am looking to donate about 30 binders of cards. How would I arrange for them to be picked up?